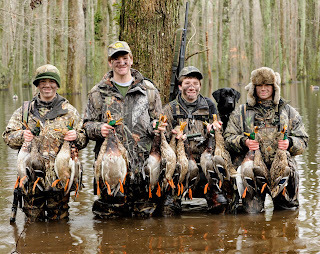 The Bust 'em Boys... Whack 'em, Smack 'em, Jack 'em, and Stack 'em makin' it rain mallards on the 2010 youth hunt. Final two-day body count: 30 mallards. Not bad for a bunch of 14 year olds. Many thanks to Papa Bust 'em for hosting the event.